Extra Lined with an array of tattoo parlors, tarot shops, palmistry shops, spas, sun decks and some amazing food and drinks shack. Facts It is named after the 'Baga creek' which flows into the Arabian Sea. People Love For Place This place is a perfect location to capture the Sunrise ans sunset. Tips Do not forget to carry your sunscreen. Facts The beautiful golden stretch of sand and scintillating water coupled with the gentle rhythms of pop music that plays here makes it the perfect destination for a laidback afternoon. People Love For Place This place is known for its Golden sands and Picturesque view. Tips Do not forget to carry your cameras for a perfect postcard shots. Facts It is snuggled on the southern part of the rocky headland where the Mandovi and the Zuari rivers meet the Arabian Sea. People Love For Place This place is popularly known a lovers paradise. Tips Do have a look at the history of this place and the Dona Paula statue. Average Time To Spend About 2-3 hour. Distance From Other Place 10 km from Baga Beach. Extra This beach is divided into two beaches named as Big Vagator and Small Vagator. 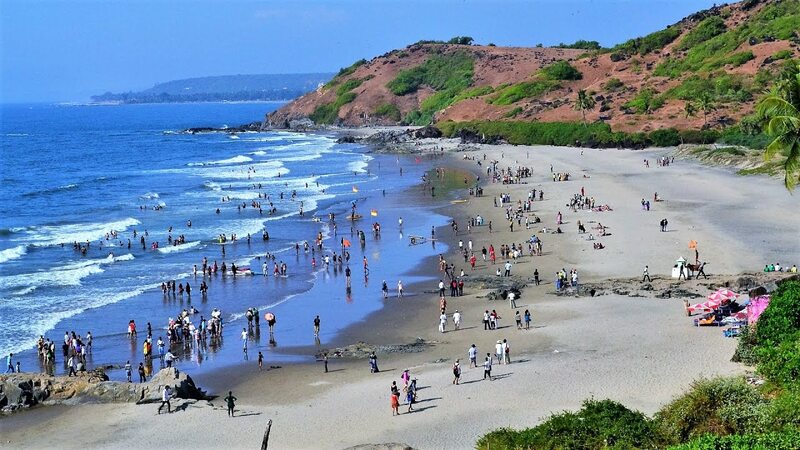 Facts The Vagator beach is one of the most beautiful beaches in Goa that is enclosed with soft white sand and speckled by huge black rocks, coconut & palm trees. People Love For Place It holds its own charm and people come here to relish the company of sand, sun & sea. Tips Do relish the snack and food near the beach. Average Time To Spend About 2 hour. Distance From Other Place 8 km from Mapusa town. 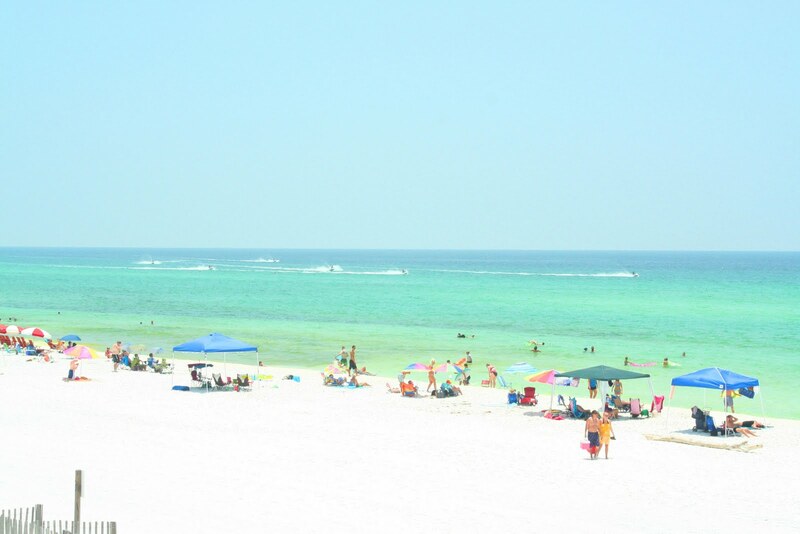 People Love For Place Provides activities like skiing,parasailing,motor sports etc. Tips DO carry sunscreen and beach wear to enjoy fully. Average Time To Spend About 3 hour. Extra The main road named as the Candolim Calangute road is fully packed with shops and restaurants. 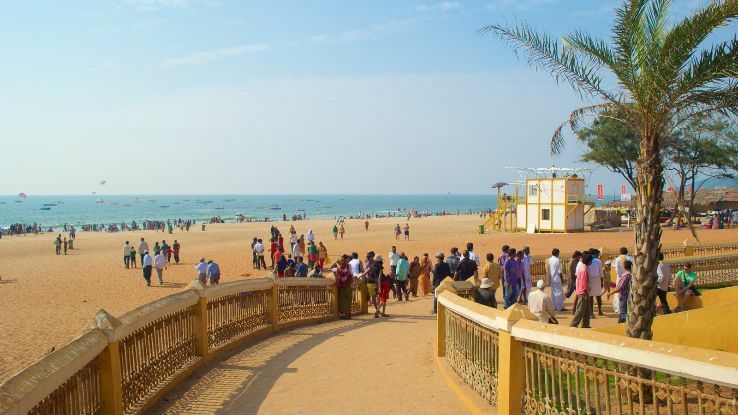 Facts The white sandy beach of Candolim normally embellished by the scrub-covered dunes and draws a large number of travel enthusiasts from all across the world. Tips With a huge variety of seafood, different cuisines cooked in Goan style to handicrafts items and casual garments, everything you'll get there what you seek for. 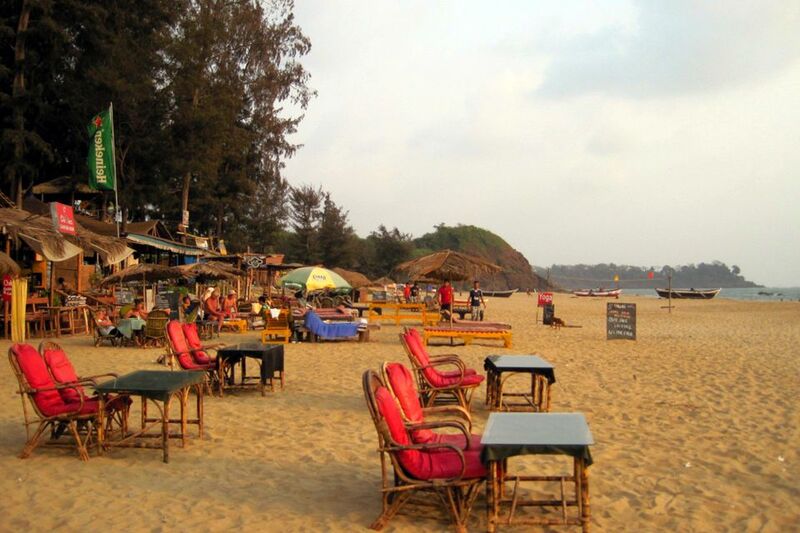 Extra It's one of the evergreen destinations of Goa, which is also popular as heaven for tourists. Facts A long stretch of empty sand, showered with laid-back and windswept, this beach is a great place to relax on the sands, with abundance of sunbed-equipped beach shacks tracing the stretch to the north. People Love For Place This is not a very crowded beach as per other beaches. 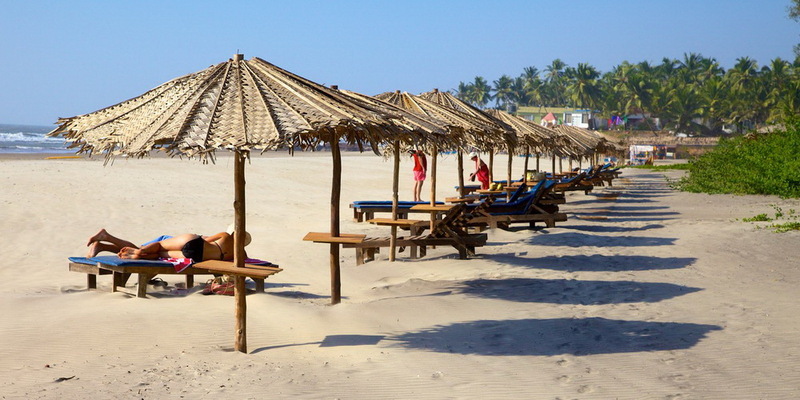 Extra Colva beach is one of the largest and striking beaches of South Goa that has fine powdered white sand and bounded by coconut palms that elongate from Bogmalo to Cabo de Rama alongside the coastline of south Goa. 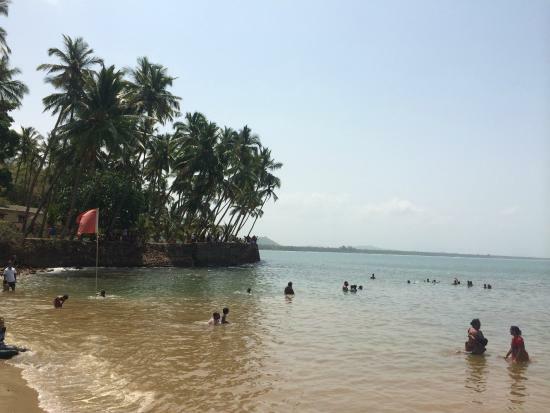 Facts The Colva beach is very beautiful and has a stream flowing through it. Speckled with colonial style villas and broken-down fishing huts, the beach looks more stunning with a wide collection of concrete hotels, souvenir stalls and snack bars all around it. People Love For Place This place gives a perfect experience of having a walk along the beach with golden sand touching the feet. Extra Lined with palm trees and colorful wooden shacks, the beach faces Canacona Island, known for its resident monkeys. Facts It's known for its calm waters and for its nightlife, including "silent discos"
People Love For Place Known for its nightlife. Extra Beach huts are also available. Facts Picturesque beach for basking & swimming, lined with vendor huts for yoga classes, food & cocktails. People Love For Place This beach is know to give postcard pictures and various recreational options. Tips Do relish the snack and beer near the beach. Extra Sprawling over the golden sand of the beach will dump all your tensions. Facts Agonda is a large village located in Canacona in South Goa district, India. 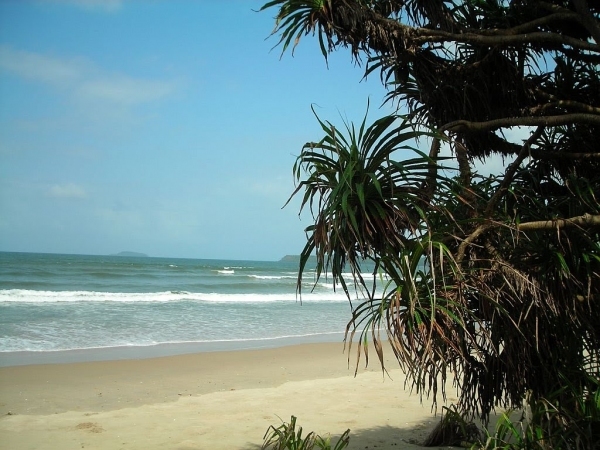 Agonda is famous for its beach. People Love For Place This beach is known for its turtle nesting programe. Extra Have the actual feel of the Goan fishing village. Facts Home to a fishing community, this small, tranquil beach. Tips Visit the small fishing community living nearby. Extra The Arambol Lake is said to merge with a boiling hot spring and is rowed with sulphurous mud which is believed to do wonders to one's skin. 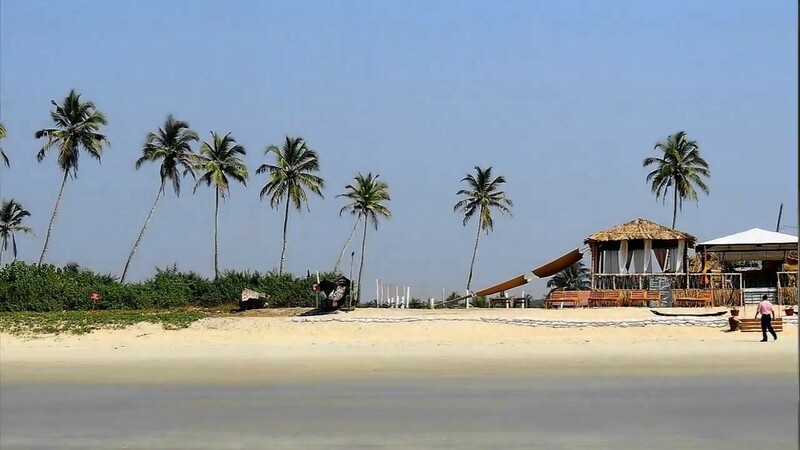 Facts Considered as one of the most beautiful beaches in Goa, Arambol beach has a distinct Bohemian feel to it that no longer exist in any other beaches. People Love For Place People come here away from the crowded beaches of the Goa to have a peaceful time one with the nature. Extra The soft sands here are perfect for relaxing or lounging around the beach as one admires the scenic coast, which takes on a whole new feel during sunset. Facts Velsao Beach finds its area host to many tourists who come here to enjoy the abundance of natural coastal beauty that goes on for ages. People Love For Place This beach has a very historic and traditional feel to it. Tips DO not forget to carry your sunscreen and have a relaxed time here. Distance From Other Place 19 km from Baga beach. Extra Walk a little inland, through the forest, to see some authentic Goan villages and temples. 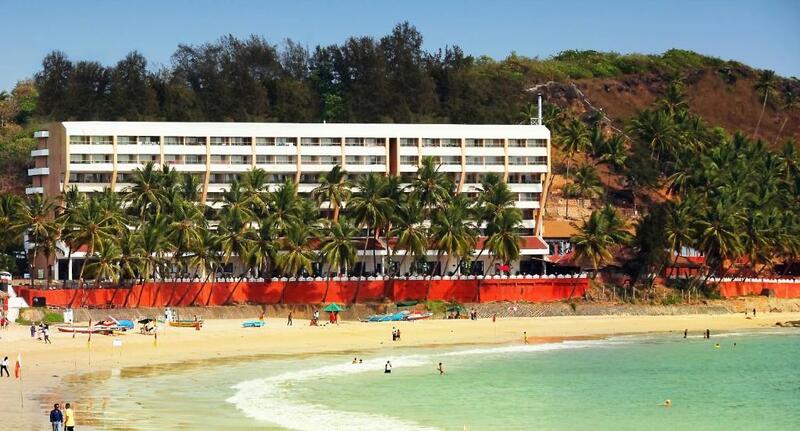 Facts Ashvem Beach is a hidden gem with stunning scenery and range of nice beach hotels and resorts. People Love For Place Enjoy a sun bath under the green trees here. Tips Book yourself a hut for an overnight stay. Facts Bogmalo Beach is a small beach-side village in Goa, India. It is situated in a small bay with around a mile of curving sandy beach. People Love For Place This is a small beach with a village nearby so can actually fell the Goan village through this place. 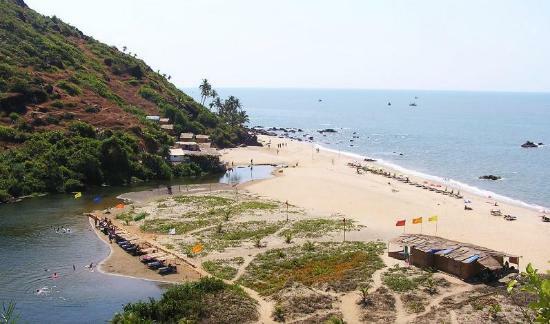 Extra Querim Beach is a beach in Goa, also known as Keri beach. 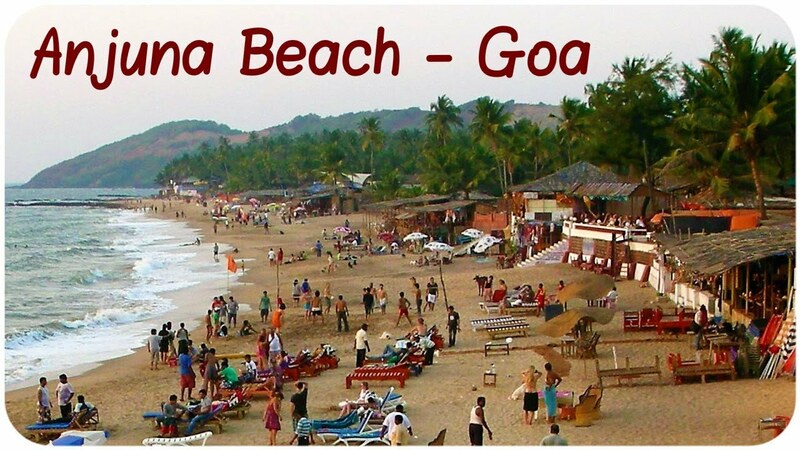 It is the largest northernmost beach in Goa. Facts The beach comprises a long stretch of sand with a few rocky outcrops, rows of trees and a river inlet of Tiracol River. People Love For Place Since this white sandy beach is not commercialized and offers a quiet, peaceful environment, it attracts a lot of couples, especially honeymooners.